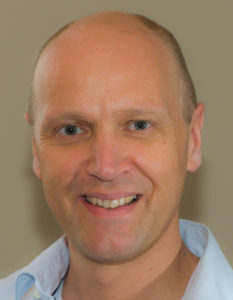 Joost D de Bruijn holds the Chair of Biomaterials at Queen Mary University of London, United Kingdom and is Professor of Regenerative Medicine and Entrepreneurship at Twente University, The Netherlands. His current research focuses on tissue instructive materials and bioreactor systems for stem cell expansion. Prof de Bruijn is founder and CEO of the Dutch biotech start-ups Progentix Orthobiology BV and Xpand Biotechnology BV. In 2009, he signed an exclusive deal of up to $80m with NuVasive Inc. to commercialize Progentix bone regeneration material technology for spine applications. Joost is scientific editor of European Cells and Materials (eCM) and acts on the editorial board of several biomaterials, tissue engineering and regenerative medicine related journals. Joost served as Vice-President and Secretary of the 8th World Biomaterials Congress, Amsterdam and was appointed Fellow of Biomaterials Science and Engineering (FBSE) in 2008. To date, Joost has published 161 papers in peer-reviewed journals and is inventor of 34 international patents.